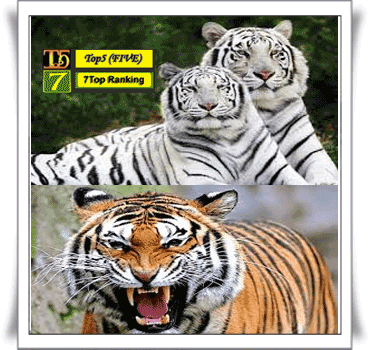 7 Types of Tigers in the World~Tiger (Latin: Panthera tigris) is an animal that belongs to the phylum Chordata (have the spinal cord), subphylum vertebrata (vertebrates), class Mammalia (warm-blooded, feathered with mammary glands), meat-eaters (carnivores), family felidae (cats), the genus panthera, and belongs to the species of the tigris. The Tiger is the largest cat of the type species, even larger than a lion. It is also the second fastest cat in the running, after citah. In the overall carnivores, the Tiger is the largest carnivorous cats and carnivores the third largest after polar bears and brown bears. Tigers usually hunt down prey as large as that bit of sambar deer, barking deer, pigs, kancil, but will hunt small animals such as porcupines in big prey does not exist. Though derived from the same family, different from the usual cat Tiger is small, it is very fond of swimming, and essentially a cat afraid of water. 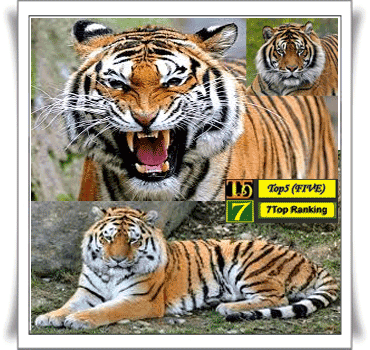 There are several types of tigers, and these types are summarized in detail both the Tigers, both local and from abroad. The Sumatran tiger (Panthera tigris Latin: the peer) is a subspecies of Tiger which was its natural habitat on the island of Sumatra – Indonesia, is one of the six Tiger subspecies still survive to this day and is included in the classification of critical wildlife threatened with extinction (critically endangered) in the red list of threatened species released by the IUCN-World Conservation Agencies. The wild population is estimated between 400-500, mainly living in the national parks in Sumatra. Cutting-edge genetic testing has revealed the genetic markers that are unique, which signifies that this subspecies may evolve into separate species, when managed sustainably. Habitat destruction is the greatest threat to the current population. Logging persists even in the supposedly protected national parks. Recorded 66 Sumatran tiger tail was killed between 1998 and 2000. The South China Tiger or his Latin language Chinese Tiger: Panthera tigris amoyensis is a subspecies of Tiger which originated in South China forests. The South China Tiger is the most critically endangered species of all Tiger subspecies. 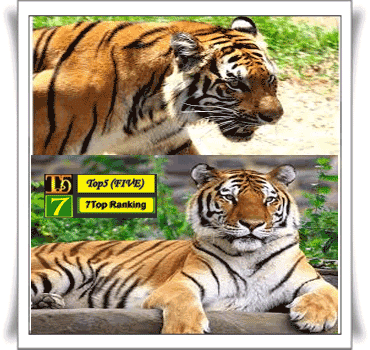 Experts said that now only the remaining less than 20 Tigers, and may be extinct in the next decade. In November 2007, the South China tiger was born in a reserve in South Africa, making it the first South China Tiger Cub born outside China. The South China Tiger has been incorporated into the list of the 10 most endangered species in the world. Malayan Tiger which in Latin is called Panthera tigris malayensis is a subspecies of Tiger found in the southern part of the Malay peninsula until 2004. The subspecies of tigers are now there are 600-800 tail, making it the largest tiger population other than the Bengal tiger and Tigers of Indochina. This species is an endangered species from extinction. In Latin the Indochina Tiger: Panthera tigris corbetti is also one of the subspecies of Tiger Habitat in Cambodia, China, Laos, Burma, Thailand, and Viet Nam. Tigers in the peninsula of Tiger of malaya had been classed as Tigers of Indochina. The name "Corbett" is derived from the scientific name of the subspecies, Panthera tigris corbetti, which borrows its name from a famous Hunter named Jim Corbett. Bengal tiger (Latin: Panthera tigris tigris, previously Panthera tigris bengalensis), is a subspecies of tigers in India, Bangladesh, Nepal, and Bhutan. According to the World Wide Fund for Nature, there are about 2,100 Royal Bengal tiger in the wild, with 1,411 of them being in India, 200 in Bangladesh, 150 in Nepal and 100 in Bhutan. The Siberian Tiger, the amur Tiger, Tiger Tiger, Manchurian, Korean or North China Tiger (Latin: Panthera tigris altaica) is a subspecies of Tiger Habitat in the Amur region in the far East and be protected. 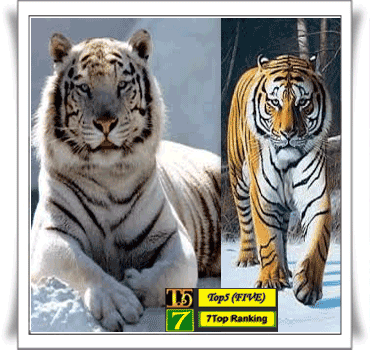 The Siberian Tiger is considered the largest subspecies of the six subspecies of Tiger. Siberian Tiger is an endangered animal. In the early 1900s, the Siberian Tigers can still be found along the peninsula of Korea, Northwest Russia, Mongolia, Southeast and Northwest China. Now this subspecies has nearly become extinct in South Korea from total and most of them live in a small area in the southern part of the far East Russia (the Amur-Ussuri in Primorye and Khabarovsk a Siberian Tiger and amur leopards are protected). Live a little living in Manchuria and North Korea. 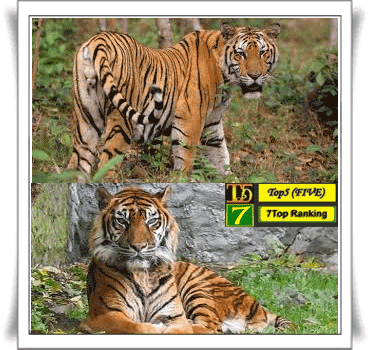 The Javan Tiger (Latin: Panthera tigris sondaica) is a subspecies of Tiger Habitat on the island of Java. This Tiger was declared extinct in the late 1980s, as a result of poaching and development of farmland which reduces drastically the animal habitats. There is the possibility of extinction is occurring around the 1950 's when it was estimated to be only 25 of this tiger's tail. The last time there was sinyalemen of the Javan tiger was in 1972. 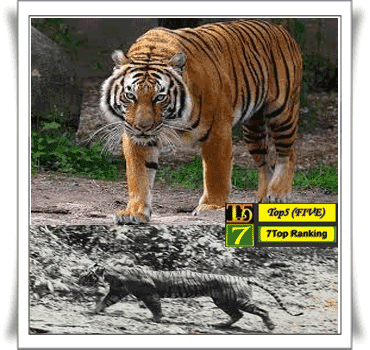 In 1979, there were signs that lived 3 Tigers living in Java island. Possibility of small animals is not yet extinct. In the 1990s there were several reports about the existence of these animals, although this can not be. At the end of 1998 has held a National Seminar on the Javan tiger in a successful UC UGM agreed to do "a review" over claims it. It is because the evidence of the latest findings in the form of traces, scars in the tree, and the hair, which is indicated as belonging to the Javan Tiger. Microscopically, the Javan Tiger hair morphology structures can be distinguished with a Leopard hair. Therefore until now still do attempt to prove the existence of this extinct animal family status.